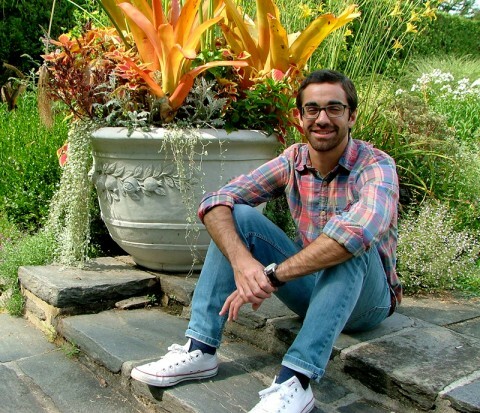 Jason Hachadorian (MS CRP '15) is heading to Washington to work as a research assistant focusing on Innovation Districts with the Brookings Institution. Like many who land in the nation’s capital, he wants to use his talents to affect positive change, particularly in urban centers. Hachadorian is putting his planning education into practice. He recently began the next chapter in his career as a research assistant with the Brookings Institution, one of the oldest and most well-known global think tanks, located in Washington, D.C. The institution conducts social science research and education, predominantly examining national and global economics, government, urban policy and foreign policy. Brookings was ranked as the most influential think tank in the world by the University of Pennsylvania in 2014. Hachadorian said innovation districts arise primarily in cities where a great deal of start-up activity has taken place in tandem with an “anchor institution.” He said he will initially take a “deep dive” into thoroughly exploring two innovation districts — University City in Philadelphia and Oklahoma City, Oklahoma. Hachadorian said he came by his interest in planning through a background in environmental studies with a short stay in the medical field.